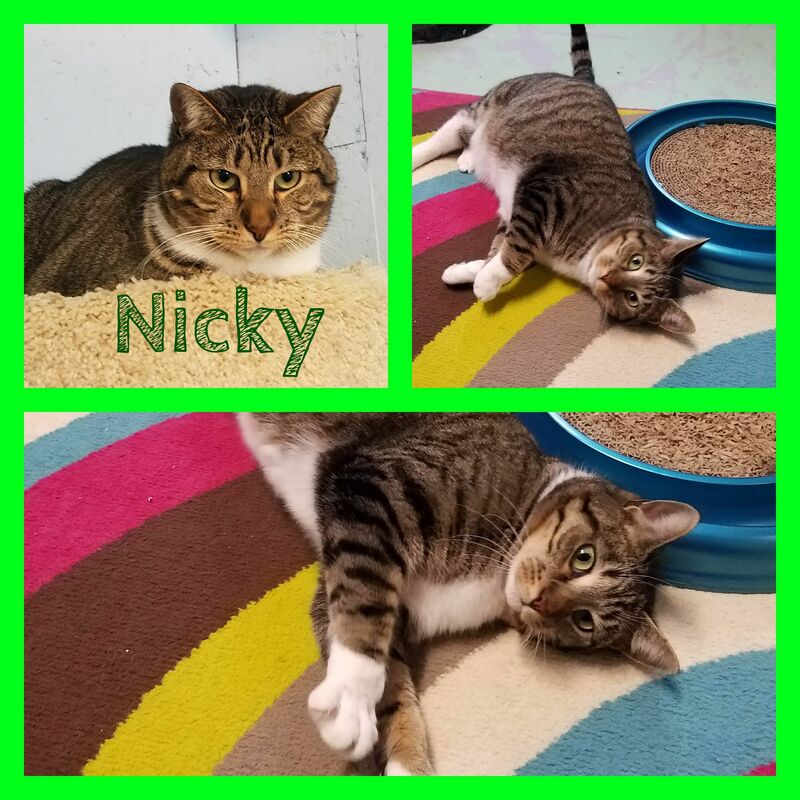 Mr. Nicky is a very handsome tiger and white male who has been with us for quite awhile. He tolerates people but prefers cats. He and Donnie have become good friends. Nicky would be a good mouser because he enjoys the hunt. 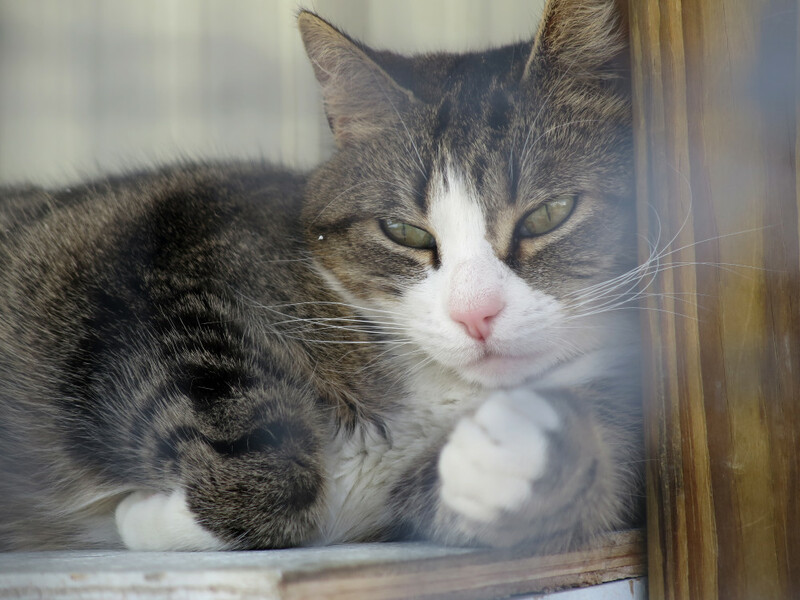 Martha came to us from a feral background but has adjusted to an indoor/outdoor situation with other cats. She also has discovered that she enjoys being petted and brushed. Veronica is a beautiful brown tiger. She came from a feral background and gets along with other cats. Although still shy, she does like people and can quickly become a very nice companion cat. 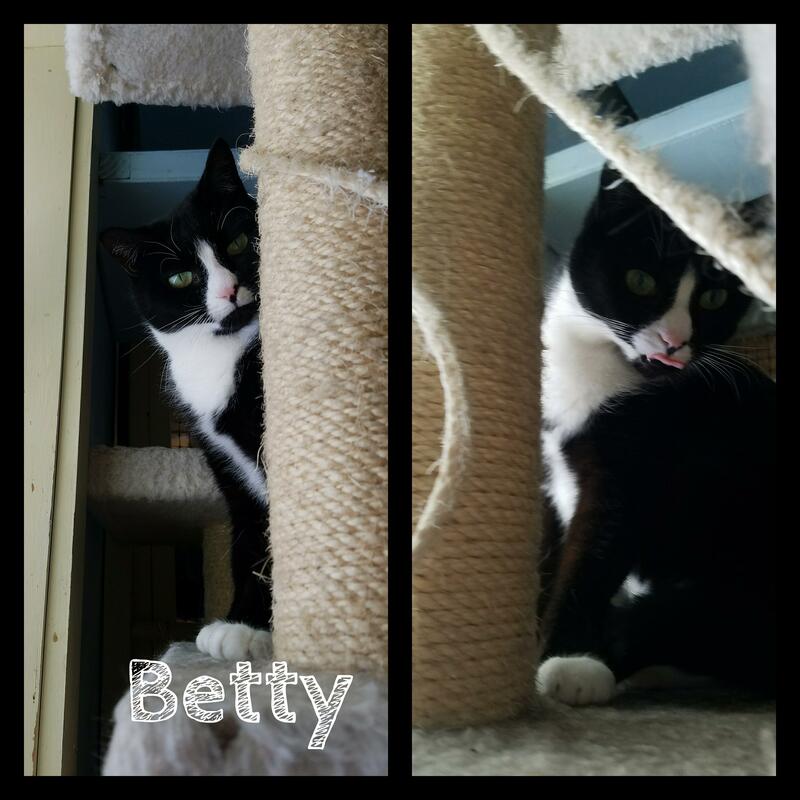 Betty came from a feral colony. She's been with us for a long time and has become a very loving girl. 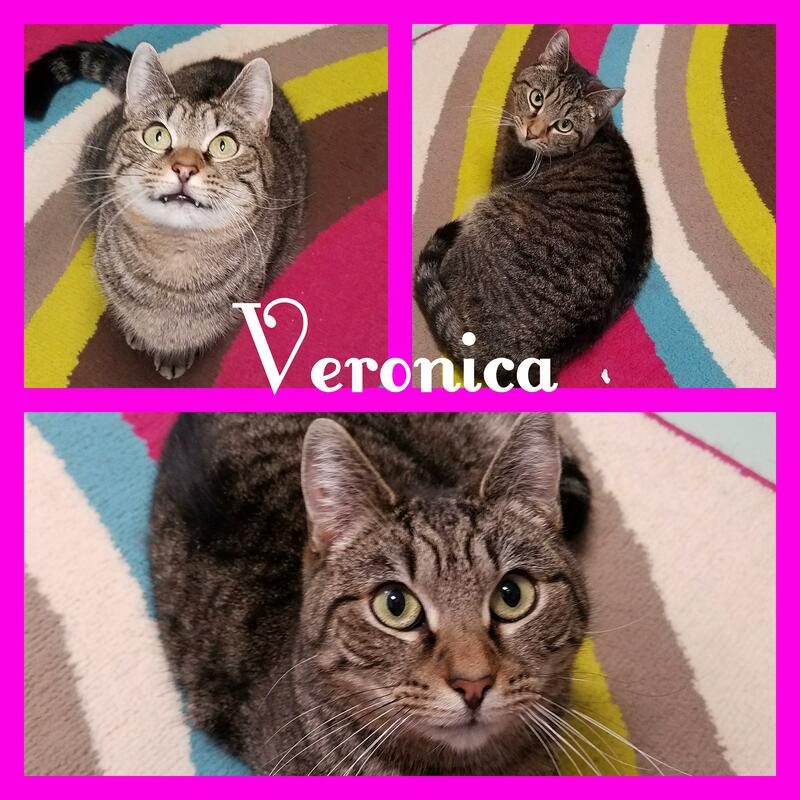 She came with Veronica and Martha, so she would do well if adopted with either of them. Donnie came in very shy and frightened. We thought he might have been feral. 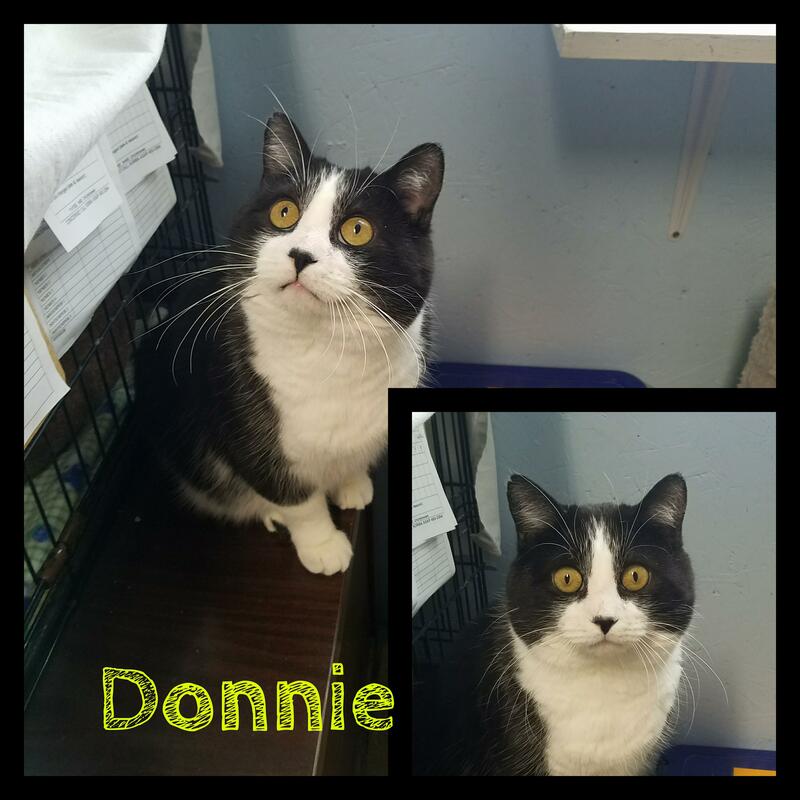 With time and patience, Donnie suddenly decided that people were okay. He is very affectionate but takes time to get to know people. He is good with other cats.